- Oil prices were struggling to recover from Friday's tumble on Monday, as concerns over the outlook for the global economy continued to weigh on investor sentiment. 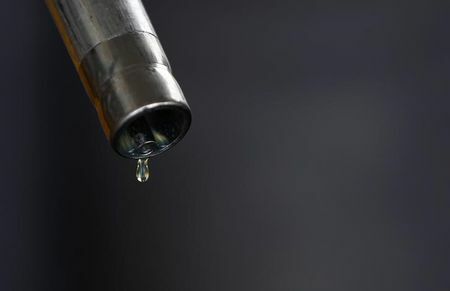 U.S. West Texas Intermediate crude futures had fallen over 4% on Friday after weak European economic data sent a shock through global markets that were already unsettled by the Federal Reserve's downward revision of the expected interest rate trajectory earlier in the week. By 8:40AM ET (12:40 GMT), they were trading at $58.87 a barrel, some 50c off Friday's lows but still well below the four-month high it posted on Thursday. Elsewhere, Brent oil stood at $66.41 a barrel. Concerns about a potential U.S. recession emerged on Friday as 10-year treasury yields slipped below the three-month rate for the first time since 2007. Historically, an inverted yield curve - where long-term rates fall below short-term ones - has often signaled an upcoming recession, although only when it is sustained over a period of time. OPEC, which together with some non-affiliated producers like Russia, known as 'OPEC+', agreed late last year to reduce output by 1.2 million barrels per day (bpd) to remove a glut and prop up prices. Commerzbank (DE:CBKG) analysts noted declines in U.S. crude stocks and expenditure by U.S. shale firms were also providing support. "Oil market-specific reports, which point to tighter supply, are preventing prices from falling any more sharply," the analysts said. Offering a hint on future production activity, U.S. energy firms reduced the number of oil rigs operating for a fifth week in a row. The rig count fell by nine to 824 last week, the lowest count in nearly a year.